Daryl Johnson (Worcester Park, United Kingdom) on 5 March 2010 in Architecture. 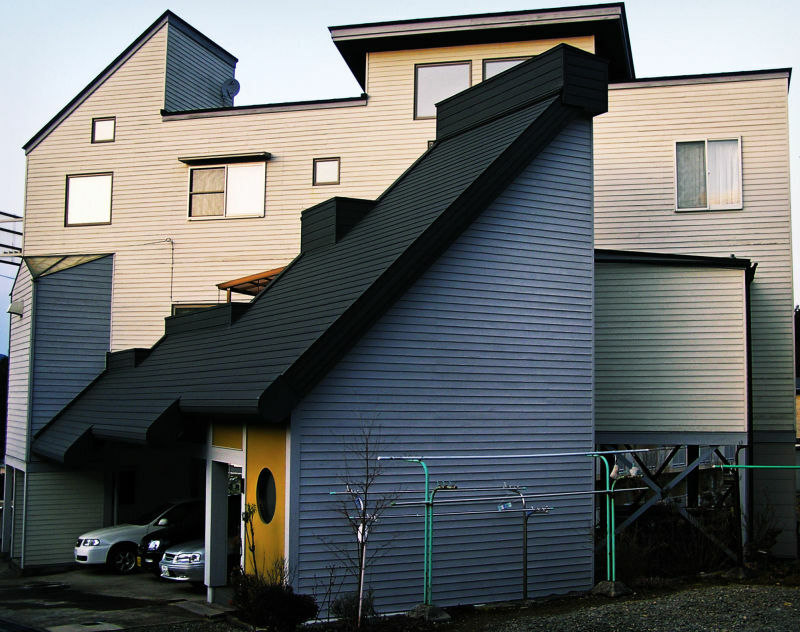 Funky house in suburban Takayama. Lovely shot, Daryl. I love the cleanness in the picture and the colors. Sincerely, this is how I want my shots to be. But, I always end up having some grain or the other. Very nice capture. I like the geometry and the lines here! Well photographed. Sharp and clean. Just as the others, it's a nice shot!! It must have cost SOME...as this is not a <model house>! As I have seen how houses are built in Japan and what kind of materials are used and linking all these to the PRICE you have to pay.....it's a NO, THANK YOU! for me! @Japanalia: Yes, I wonder how much hey...?